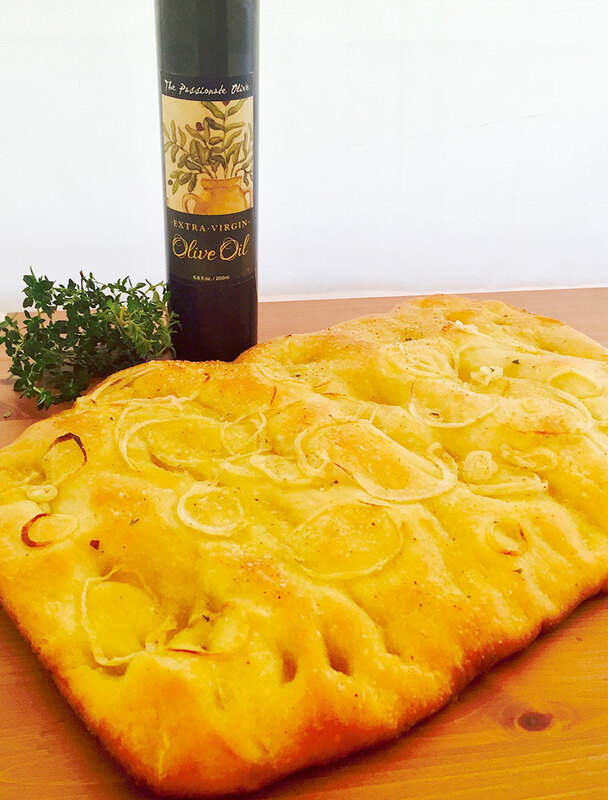 Focaccia is a flat oven-baked Italian bread. It is similar in style and texture to pizza doughs. It may be topped with onions, olives, herbs or sauces. I often make it from scratch. . . but for an easy focaccia follow the steps. *The dough will take about 3 hours to rise. I usually put one loaf of frozen bread in the refrigerator overnight. In the morning, I follow the directions above.